FREE Samples: Jasper Engineered Hardwood - Nakai Click-Lock Acacia Collection Natural / Acacia / 4 7/8"
Natural / Acacia / 4 7/8"
Take pleasure in organic quality in your home with an engineered hardwood floor from the Jasper Nakai Acacia Collection. 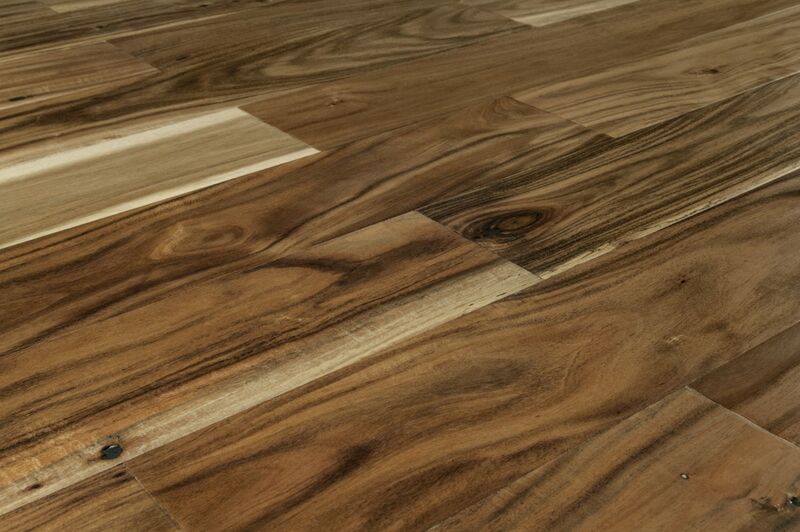 This outstanding product performs beyond traditional expectations for solid hardwood, but brings natural and species-specific grain patterns and wood characteristics in an engineered floor. 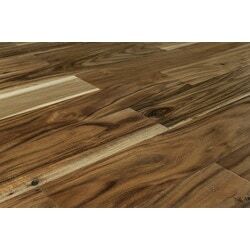 Bringing a lush and exotic floor system into your home, Jasper label engineered hardwood flooring found in this collection is designed for strength and ease of use, will add vivid character and natural charm to your space. Length: 48 Width: 4 7/8"
Love the floor. It took a min to figure out a patern that I wanted but all of the boxes had the same cuts so once it was determined the rest went really smooth. This brand is a very simple installation and it looks fantastic. The online image made it look much lighter than it is when I installed it. Fantastic product. Flooring was great quality with less than 1 box of damaged pieces. Those pieces were able to be used for end pieces and other cuts, so very little loss. Arrived very quickly and installed without any issues. The fitment is great and we are pleased with the way it turned out! We laid 1700 sf of this and didn't have any issues with it lining up or connected around our kitchen island. The only thing we were not 100% satisfied with was the overall color. The sample we received was one of the darker pieces that looked more brown than the slightly reddish tone that this gave off. It still works and looks great, we were just expecting a little different tone. One nice thing was that each box had the same number of lengths packed in the same order, making it easy to plan where to put the pieces and how they would lay out. It has only been 1 month, but we are very happy with the way everything looks. Beautiful Flooring, Great Price, and Great Customer Service (Especially by Ashley). Highly Recommend.